(Bloomberg) -- A TV comedian with no political experience took a big step toward defeating Ukraine’s incumbent leader at an election runoff this month. Volodymyr Zelenskiy, a 41-year-old who’s tapped into anger at the ex-Soviet republic’s lack of progress since a pro-European revolution five years ago, won 30.3 percent of votes in the ballot’s first round on Sunday. 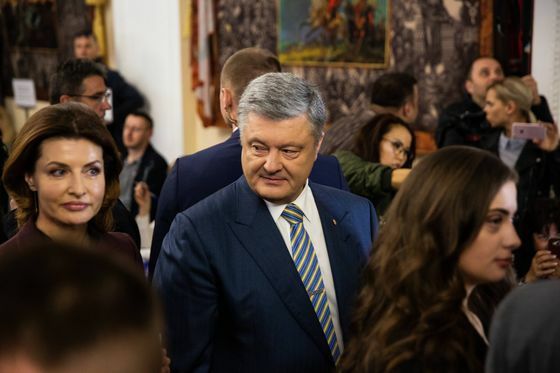 Petro Poroshenko, bidding for a second five-year term in power, got 16 percent, with almost 90 percent of votes counted. Yulia Tymoshenko, a veteran former prime minister and leader of the earlier Orange Revolution, was eliminated, failing in her third bid for the presidency. Who leads Ukraine is of global significance since the country of 42 million people, locked between Russia and the European Union, became a geopolitical battleground. The West has pumped in billions of dollars in aid since protesters ousted Kremlin-backed Viktor Yanukovych in 2014. Russia continues to meddle as it bids to eventually win back influence. 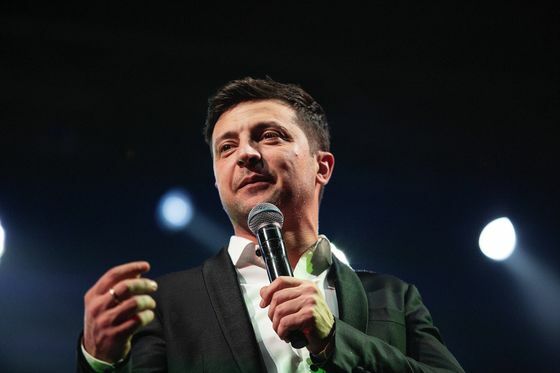 Anti-establishment fervor of the kind that’s spread across the continent has driven Zelenskiy’s rise. He joins other successful comics-turned-politicians including Italy’s Beppe Grillo and Slovenia’s Marjan Sarec. While Zelenskiy is vague on his actual policies and has been forced to repeatedly deny political links to the billionaire whose TV channel airs his shows, investors reacted positively to his success. Observers from the Organization for Security and Cooperation in Europe called voting competitive and free, descriptions that are rare for elections in the former Soviet Union. On top of graft, voters are fed up with the persistent military conflict that Russia fomented in eastern Ukraine after President Vladimir Putin annexed Crimea. They’re also tired of economic pain. The rebound from a deep recession is lackluster, kept afloat by loans from the International Monetary Fund. People are worse off after a currency devaluation and hikes to utility tariffs. Many have left to work abroad. While facing criticism over his record on tackling graft, Poroshenko has trumpeted achievements that include securing visa-free travel to the EU for Ukrainians and helping create an Orthodox church independent of Russia. There have been some reform successes too, namely strengthening the armed forces, cleaning up the banking industry and overhauling public procurement.